The white swan has long been a striking symbol of love, purity and power. It has also been associated with beautiful poetry. The Greek poet Homer was called the Swan of Meander while William Shakespeare was dubbed the Swan of Avon. It's no surprise that this majestic bird has also inspired fairy tales, ballets and amazing music. 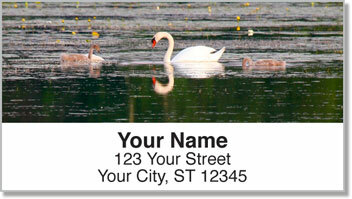 Swan Address Labels from CheckAdvantage pay tribute to an elegant creature with original photography taken on a peaceful pond. 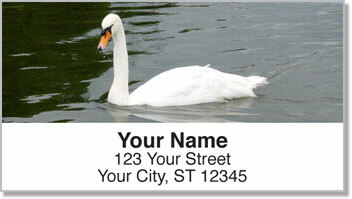 Use these labels to give your outgoing mail an attractive look, or stick them on anything you want to mark as your personal property. 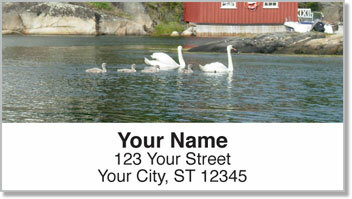 Get your very own Swan Address labels right now! 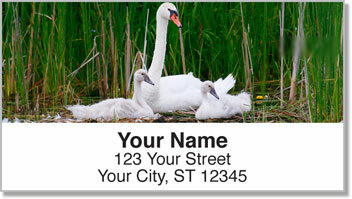 You'll also find this design available to order as a set of matching top-tear or side-tear personal checks.